The level of social impairment varies significantly among people with psychotic disorders. A new 20-year study finds that in some patients, the degree of these impairments is established early and remains remarkably stable. Many patients with psychotic disorders, including schizophrenia and some cases of major depression and bipolar disorder, experience difficulty establishing relationships and participating in social activities. These problems can begin prior to the onset of illness. Now, a new 20-year study which followed hundreds of patients, has found that levels of social impairment remain remarkably stable in the years after a first hospitalization for psychosis. The study, reported November 1, 2017 in the American Journal of Psychiatry, included people with schizophrenia spectrum disorders (schizophrenia, schizoaffective disorder, and schizophreniform disorder), and psychotic mood disorders (major depressive disorder with psychosis, and bipolar disorder with psychosis). 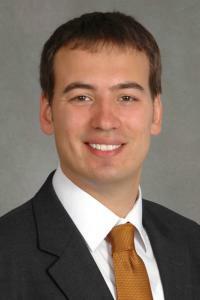 A team led by Dr. Roman Kotov of Stony Brook University (SBU), recipient of a Young Investigator grant in 2009, found that participants followed different trajectories of social functioning, and that these trajectories changed quite a bit from childhood to first hospitalization, but remained largely flat after that. Six hundred and twenty eight patients with psychotic disorders were initially recruited to the study between 1989 and 1995. At the time of their enrollment, all were between the ages of 15 and 60 and had been recently hospitalized for their illness for the first time. At the 20-year point, 262 of those who remained in the study were assessed. A comparison group of 262 individuals who had never experienced psychosis was matched to patients on age, gender, and zip code. Study participants’ social functioning was assessed six months after first hospitalization and again two, four, 10, and 20 years later. To determine the degree of social impairment, researchers conducted interviews focusing on participants’ relationships and activities with other people. Patient responses were supplemented with available medical records and input from significant others. Using interviews and school records, the researchers also assessed individuals’ social functioning in childhood and adolescence, prior to the onset of their illness. People with schizophrenia and related disorders tended to experience more social impairments over the 20-year period than did individuals diagnosed with psychotic mood disorders. But the degree of social impairment varied significantly between individuals, regardless of what diagnosis they had. Trajectories of social functioning remained surprisingly stable over the two decades. Twenty years into the study, functional outcomes, such as whether individuals had earned a high school diploma, their employment status, and their financial independence, were poorest in those groups in the study with the lowest levels of social functioning. The team found that patients’ social functioning trajectories began to emerge in childhood and adolescence prior to onset of illness, highlighting the importance of early interventions for high-risk individuals. Some researchers have suggested that social impairment often can be reduced in people with first-episode psychosis, if they are treated early in a setting of fully integrated care that includes continuing social and vocational counseling. The problem is that such care is often not available to patients in the United States under current medical system and social insurance arrangements. Co-first authors of the team’s paper were Anne-Kathrin J. Fett, Ph.D., a 2015 Young Investigator at Vrije Universiteit, Amsterdam, Netherlands, and Eva Velthorst, Ph.D., of the Icahn School of Medicine at Mount Sinai. The team also included Greg Perlman, Ph.D., a 2013 Young Investigator at Stony Brook University School of Medicine and Jim van Os, M.D., Ph.D., a Foundation Scientific Council Member at Maastricht University Medical Centre in the Netherlands.